Summer is slowly slipping away and with many back in school, Fall is on the horizon. A season about getting back into the swing of things, Fall is a perfect time to spice up your offerings with programming that supports fellowship and fun. Church picnics, football parties, lock-ins, fall concerts, family fellowship nights, festivals, holiday bazaars…all of these programs are greatly enhanced by the use of music, videos, and other copyrighted material. It’s easy to overlook getting the right music licensing because many Fall programs aren’t part of the overall music program, so it’s important to have a plan and a way to identify any use of copyrighted material. Big events, as well as smaller ones, require PLANNING. It’s important that your team discuss the types of copyrights that might be used during each event to make sure licensing is in place. Your creative arts staff and volunteers need to be on the same page, as well as your church’s executive and administrative teams. 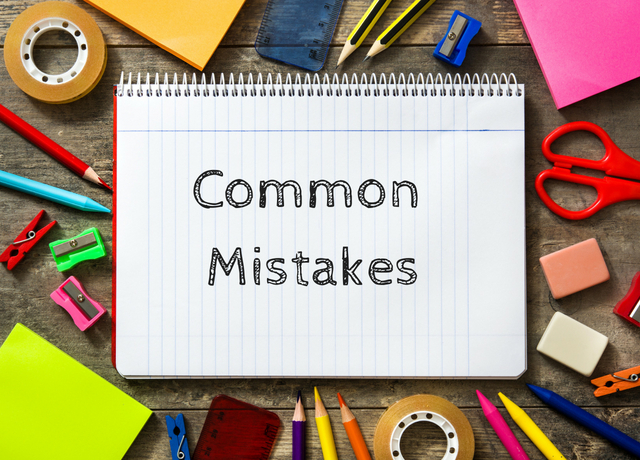 We have identified THREE COMMON MISTAKES churches make that can dramatically increase risks of infringement. If you address these mistakes, you’ll make great strides towards reaching your goal of honoring copyright owners. The religious service exemption (RSE) of the U.S. Copyright Law (Section 110) is probably the most important part of the law for churches because it provides that performance of a non-dramatic literary or musical work shall not constitute infringement of copyright. In other words, you do not have to get permission from the copyright owner or pay royalties to perform music or display the lyrics of a work in a religious service. The exemption is a vital one. It is the only special treatment that churches and ministries receive under copyright law. As long as services are being conducted at a religious gathering, the exemption would apply even if they are held in “non-religious” venues such as an auditorium, stadium, or theater. The exemption excludes performance activities at a place of worship that are for social, educational, fund-raising, or entertainment purpose. It’s also critical to note that it does NOT cover activity outside your religious service. Remember the exemption only applies “…in the course of services at a place of worship or other religious assembly”. If you’re wondering whether or not your church programs make the grade when it comes to copyright compliance, we have a fun and simple quiz you can take to find out. We’re very excited to offer CCS’s online, interactive Copyright Quiz to help you evaluate how your church is doing. This is a great place to start with a quick analysis and overview on just how “compliant” your church is. You may also want to engage the services of a copyright professional to consult with you about your specific church activities and uses of copyrights. Or you may consider obtaining legal counsel. Annual blanket licenses are the easiest, quickest, and most cost-effective way to provide coverage in advance for many of your activities. One of the best features of blanket licenses is that you can sign up online and obtain immediate coverage. Our FREE Blanket License Fact Sheet provides details on all of the available church blanket licenses and outlines what’s covered and what’s not. You can obtain several church blanket licenses to create a mosaic of coverage that dramatically simplifies your licensing requirements. A Performance Facilities and Event License is necessary for most Church activities and programs, outside religious services. CCS’s PERFORMmusic Onsite Facilities Music License is the only ONE-STOP Church Performance License available in the U.S. and covers more than 25 million songs from the catalogs of ASCAP, BMI, and SESAC. If you want to webcast or stream your program online, you’ll need a Music Streaming Performance License, and CCC’s WORSHIPcast Online Streaming Music License covers 25 million songs, including Christian holiday and secular music. Questions? Take advantage of our FREE 20-minute consultation. Just call 1-877-394-5566 to schedule! You can also live chat with a copyright expert right from your computer with our live chat feature. About Christian Copyright Solutions: CCS’s quest is to help churches and Christian ministries “do music right.” CCS is an expert on church music copyrights and our primary focus is providing licensing and clear educational resources to churches, as well as representation, administration, and advocacy for copyright owners. Follow us on Twitter, Facebook, Instagram, and Youtube. The information contained herein is for informational purposes only and is not legal advice or a substitute for legal counsel.